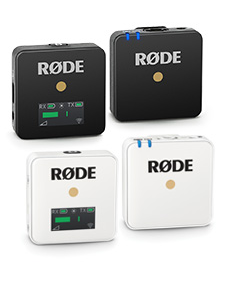 The NT5 is designed and made in Australia, and covered by RØDE's industry leading 10 year warranty. The RØDEs really have excellent directivity and rejection. I recorded with no eq or compression and got a super sound. Bright, complex sounds such as small bells were handled well, with no obvious intermodulation distortion, while acoustic guitars came over with plenty of depth and detail. Noise was never evident. Really stunning sound quality for the money. You have to spend several times the price of these mics to get a small diaphragm condenser that performs even a little bit better. RØDE have got it right with the NT5s, they sound fantastic. They are keepers that I will hold onto for years to come. Got these from BH Photo Video primarily for instrument stereo instrument miking; especially drums, so I use it for just that, and these mics gave me a wow the first time I used it. Excellent stereo imaging when used as drum overheads. I noticed a clean/clear, almost flat sounding response! no annoying frequency hype to my ears. They're small, light, compact and powerful. I should mention that the included mic clips are rugged, pretty much the best clips I've ever had/used. The included pop screens aren't as effective on reducing vocal 'plosives' as well as conventional pop filters that hook up to the mic stands. But this is not your extra versatile multi-polar pattern microphone as it is fixed Cardioid. There is also no built in Pad/attenuation. But generally, for what it is, and what it was made for, its an excellent choice- buy it! I have used a stereo pair of RØDE NT5s for about 2 years now. 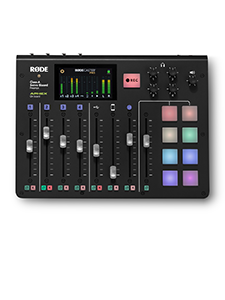 I mainly use them on live choirs (15-40 voices), and one would do just as well if you don't need stereo miking. They're also excellent on drums (primarily as overheads), and Leslies. Their signal clarity is astounding. There is virtually no coloration or proximity effect with these mini-monsters. They pick EVERYTHING up! So, don't use them if you will be clicking your studio mouse mid-session! 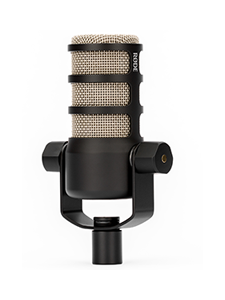 I use this mic for vocals, as well as guitar and percussion- it is a charming and great-sounding mic, all at a very affordable price. A must have!! I do broadcast and video production projects. There are often times when we record local bands and there's no feed from the mixing board, or there are orchestra (big band to quartet and the like) instruments that aren't mic'ed. Using the NT5 to get great quality live sound is simply amazing. I thought we'd have to go with a much more expensive rig than this, but nope, these little puppies are amazing. I also use them individually in the studio for music work, and they are very pleasing to the ear. I love them! I use these primarily as piano mics, and their range and fullness is simply amazing for small diaphragm condensers, in both studio and live applications. Very quiet, the polar pattern is good and tight, and the sound is round and transparent. You can't beat the price/quality ratio of these.